The most enigmatic, provocative and powerful live band in the world, SLIPKNOT return to global stages in 2019. 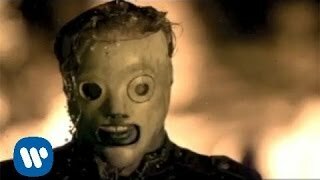 In the 19 years since exploding out of Des Moines Iowa USA, the nine-member, unrelenting force of nature that is SLIPKNOT has amassed 13 Platinum and 44 Gold record certifications around the world on the strength of counterculture anthems like “Duality”, “The Devil In I”, “Psychosocial”, and “Before I Forget”. The global impact of their most recent studio album .5: The Gray Chapter demonstrates that the band are only getting bigger, with Top 5 debuts in 19 countries around the world, including the US (#1), UK (#2), Japan (#1), Australia (#1), Russia (#1) & Germany (#2). In the five years since .5: The Gray Chapter, the band’s audience has only grown, hitting 1.5M streams per day on October 12th 2018 (Spotify) as well as 2.5 billion YouTube views.